Now when the season has ended, it’s a pleasure to look back on the performance of the horses from Fet this year. In 2018 16 horses from Fet were evaluated. Their average age was 5,2 years old and the average total score 8.14. Seven of the horses were 5 years old and six of them received 1. prize. 14 of all the horses received 1. prize for conformation and 11 of them received 1. prize in total. Of those group there were six 4-gaiters. In total the horses from Fet received 9.5 five times for some attributes in assessment. Kilja, 6 years old received 9.5 for tölt and canter, Fenrir, 4 years old received 9.5 for general impression and spirit and Dröfn, 4 years old received 9.5 for head. Also, Fenrir received 10 for canter. 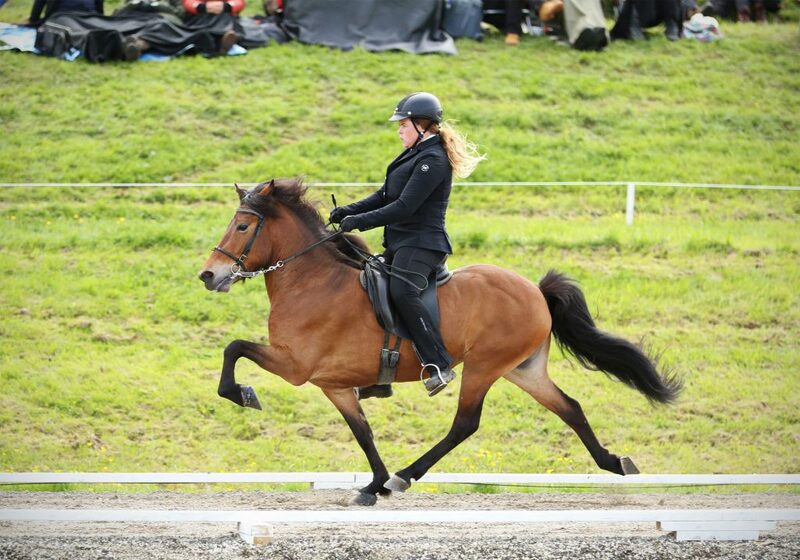 Of course the Landsmót in Víðidalur stands out after the season and the highlight of the year was when Sigyn won her class of 5 year old mares. She truly flourished on Landsmót and raised her marks by ,17 on total. She received six 9: for tölt, pace, spirit, neck, back and croup and proportions. She’s also the highest judged horse from Fet this year. Sigyn has always been a remarkable youngster, been noticeable in the herd and is quite the queen in the stable. She’s very forward willing, with an extremely good gaits, especially tölt and pace. Now she’s in her new role, as a breeding mare at Fet and we look really much forward to get offsprings from such a talented and unique mare. Sigyn has a very strong breeding lines but her mother, Vigdís frá Feti won her class of 6 year old mares 20 years ago, in 1998 with 8.36 in total. She received honorary prize for offsprings in 2006. Sigyn has nine 1. prize siblings and is f.ex. sister to Vilmundur frá Feti and Arndís frá Feti, who both has received honorary prize for offsprings, Vilmundur in 2014 and Arndís this year. Sigyn’s father, Ómur frá Kvistum also received honorary prize for offsprings this year on Landsmót and was himself the highest 5 year old stallion on Landsmót 10 years ago, in 2008 at Hella with 8.61 in total. 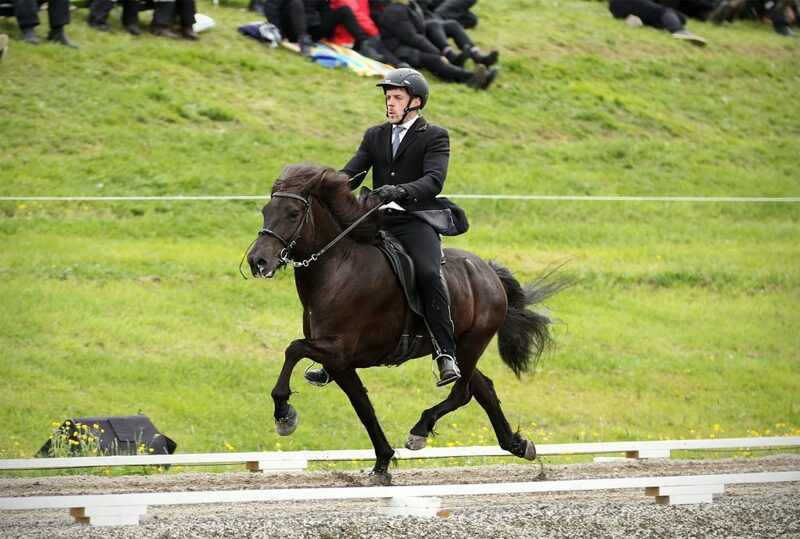 Two 4-gaited mares received higher than 8.30 in total this year, Kilja and Gerpla frá Feti. Both do they have long and powerful strides, high leg action and a great carriage. We’ll keep them in training next year and the goal is to bring them to the oval track. Last but not least is Fenrir frá Feti, but it’s save to say that he had his breakthrough on Landsmót. He received 8.37 in total as a 4 year old stallion and ended up 2nd in his class. He’s sired by Loki frá Selfossi and Fljóð frá Feti, who is by Gauti frá Reykjavík and Frá frá Feti. 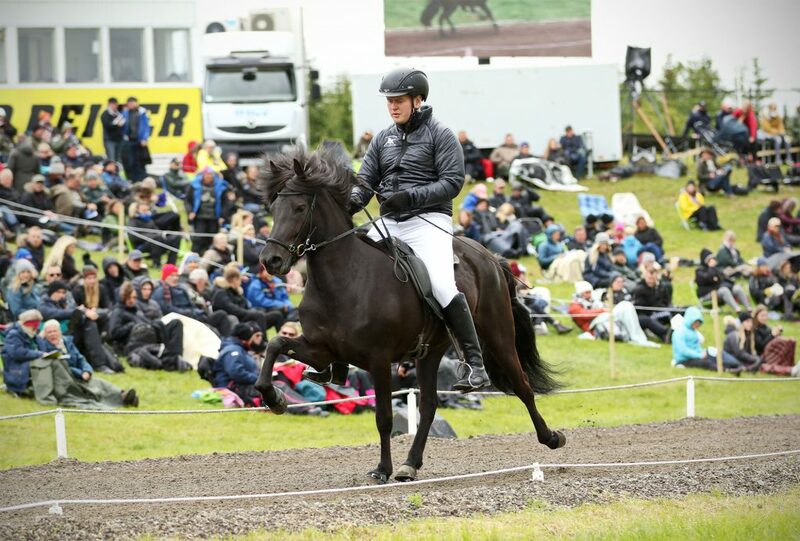 Loki has shown that he’s one of the best 4-gaiters in Iceland, having won the B-class in Landsmót already and been in the top battle for many years. Fenrir is a very well built horse, big and handsome with outstanding gaits. 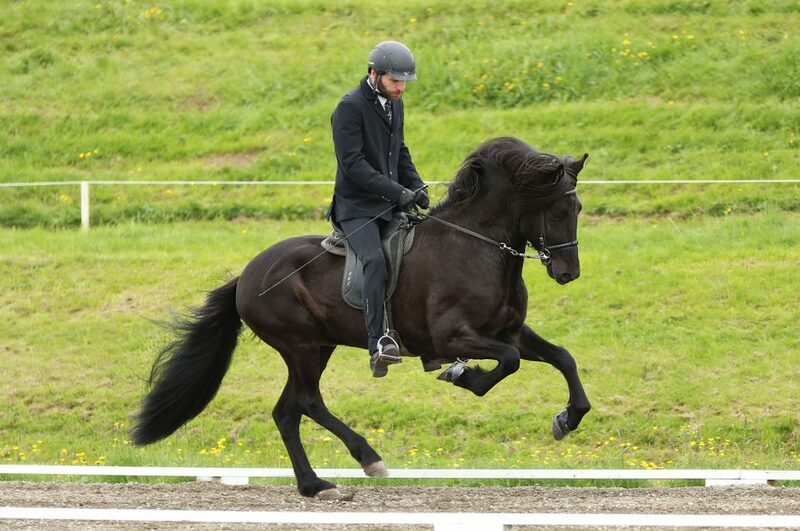 On Landsmót he received 8.39 for ridden abilities. His owner is Ármann Sverrisson, who is also the owner if Fenrir’s father, Loki frá Selfossi. Owner : TR Hestar ehf.